Approval is pretty fast for bad credit mobile phones. If you apply today and your requirements are completed and ready, you can get approved in as fast as within 24 hours. Your provider will give you a call, confirm approval and ship your handset to your billing address. The requirements are also minimal when you opt for a bad credit phone. In most cases, you’ll just need to prove you have steady income per month to get approved fast. Naturally, you’ll need to be of legal age and a UK resident to be eligible for this type of phone contract deal. You may not have access to high-end phones but the handset choices are vast and varied as well. 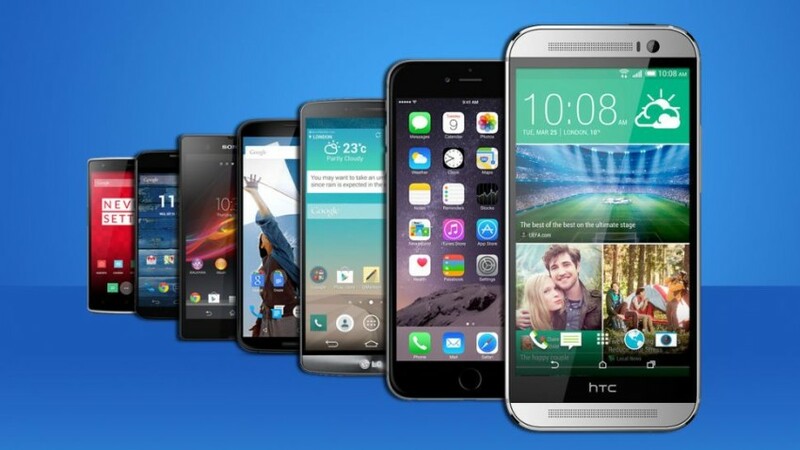 You can pick your handset from a wide selection of budget and mid-range models across different mobile phone brands. In addition to your handset, another aspect of the package that’s luring mobile users is the bundle plan. The plan includes allowances for your phone services. Provided that you chose the right plan, you have the potential to enjoy huge savings on your phone bill throughout the 24-month term for your phone contract. The trick is to pick the right bundle plan to put you at an advantage. But the best part about bad credit phones is the no credit check policy. We don’t run credit checks on applicants, which means faster approval and 99% chances of approval. With bad credit phones, your credit score is never a factor when determining your application’s approval. So long as you live in the UK with sufficient monthly income, you can get approved for a phone contract fast. This makes bad credit phones a great alternative to traditional pay-monthly contracts. 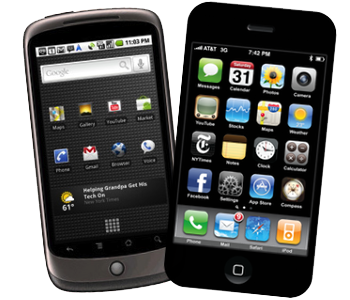 If major carriers have rejected your application before then bad credit phones are here to save the day. 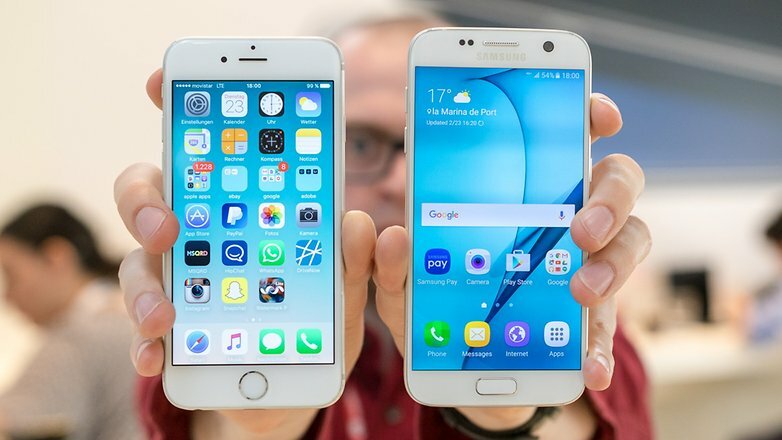 Trying to decide which one between the Samsung Galaxy S7 and the iPhone 6S is better is not easy. Both phones are high-end offerings that have massive followings. Both phones also boast a set of great features any average mobile users will be practically mesmerized with. In our attempt to help you decide, we’ve created this guide to compare two of the most popular phones in the market today. At first glance, both phones look sleeker and smarter than ever. But going deeper, you’ll see that the Galaxy S7 is thicker the iPhone 6S. It features a metal allow construction with glass front and back. It’s also IP68 certified. 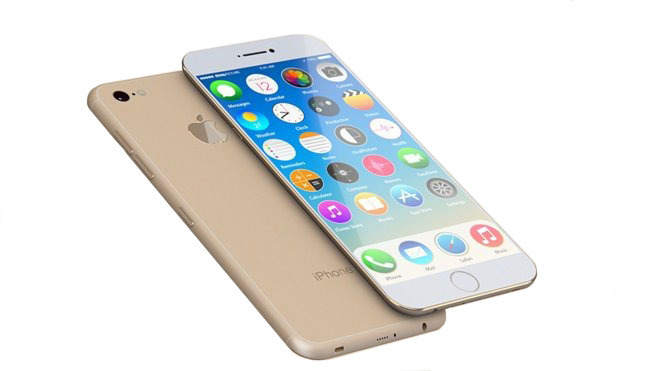 iPhone 6S, on one hand, features the Series 7000 anodized aluminum back available in a number of color options. Compared with previous Galaxy Phone, the latest Samsung offering looks and feels premium. As for the iPhone’s 7, it’s curvier and easier to handle. When it comes to display, the Galaxy S7 boasts a sharper display than iPhone 6S. The Samsung flagship phone features a 5.1-inch Super AMOLED display with impressive 2560 x 1440 resolution. It’s not much different than the Galaxy S6, which means it’s ahead of iPhone in terms of sharpness. IPhone, on one hand, features a 4.7-inch IPS LCD with 1334×750 resolution. While iPhone 6S’s resolution is not much, the phone does have a new feature called the 3D touch, which makes it a better upgrade than the iPhone 6. In terms of performance, the Galaxy S7 is 30% better than its predecessor. It is powered by the Exynos 8890 processor with 4GB RAM. Add to that the memory upgrade and you’ve got a killer phone with the Galaxy S7. Meanwhile, iPhone 6S is powered by the A9-chip with half the RAM of the S7 at 2GB. General usage suggests that iPhone 6S is at par in performance with Galaxy S7 but overall, the latter may hold the advantage at the moment. Both the Galaxy S7 and iPhone 6S take great snaps. The former boasts a 12MP rear camera with phase detection and 5MP front camera while the latter boasts an upgrade to 12MP from 8MP rear camera with dual LED flash and 5MP front camera. Both phones are capable of 4K video recording. The deciding factor for these two phones with respect to camera features is the optical image stabilization (OIS) aspect, which is available in Galaxy S7 but not on iPhone 6S. The Galaxy S7 runs on Android Marshmallow with TouchWiz UI while iPhone 6S has the latest iOS 9.3. Galaxy S6 has had some issues with Touchwiz. You’d think Samsung will ditch it on the Galaxy S7 but it didn’t happen. While the Galaxy S7 is better than ever in terms of performance, there are still unnecessary extra apps that users could’ve done without. iPhone 6S, meanwhile, is exactly what iPhone users have been used to and better. With its 3D technology and other software tweaks, the iPhone 6S may offer better software than the Galaxy S7. For most mobile users, price is always a key consideration. At this point, the iPhone 6S may be more expensive with price tags from £539 to £699 depending on the storage options. The Galaxy S7, on one hand, is priced at £569. The iPhone is more expensive because its entry level offer only has 16 GB storage while Samsung’s entry level option starts at 32GB. Because Galaxy S7 also has the expandable storage option, it may be a cost-effective choice in the long run. Whether you own a Samsung or an Apple handset, apps play a vital role to how we enjoy our mobile phones. With so many apps on both the App Store and Google Play Store, finding the right apps for your phone and your needs can be quite daunting. To help you along, we’ve done the legwork and listed below the best apps for Android and iOS phones this 2016. Available for Android and iOS, this app is valuable for users who want to bring their productivity to their mobile. The suite includes the most vital, which are Word, Excel and Powerpoint. If you’re working on something on your desktop and you want to bring it to your mobile phone, the app provides maximum file compatibility. You can edit, view and create documents, spreadsheets and PowerPoint presentations right on your little handheld device. Another productivity app available for Android and iOS worth downloading is Feedly. If you’re into reading whether on your desktop or mobile phone, this app will manage and merge your news fed in a seamless, mobile-friendly manner. You can also save articles on your app, which you can view even when offline through another app called Pocket. Why overspend on your phone contract’s excess texts allowance when you can download WhatsApp? The app is available for free download for Android and iOS phones. The phone is one of the most popular mobile messaging apps there is. It lets users send text, phone and even voice or video message to other WhatsApp users on your contacts. All these are for free provided that you have a compatible device and you have Internet connection. Whether you’re maintaining a healthy lifestyle or you want to start a new fitness project this year, Workout Trainer is a handy app that might help with your goals. It is available for free on both Android and iOS platforms. The app provides users easy access to a variety and a wide range of workout programs to choose from. The app also provide both audio and video instructions. If you’re into counting calories, there’s no better app for this purpose than Calorie Counter by MyFitnessPal. It is available for free for both Android and iOS. The app lets you set goals then record what you eat, exercise and more in a day. The app has a large database of food in its system making it easier for users to record their food intake day in and day out and keep track of calories. Whether you’re a student, a fresh grad or a long-time professional, you are not exempted to budget. If you want to do so on the go, PocketGuard may be the best app to download. The app is available for both Android and iOS. The app is like your all-in-one bank. It lets you budget your money then track your bank accounts. With the app handy on your phone, you’ll know whether your account has enough to spend for the day. It allows users to seamlessly connect to their card and bank accounts through a secure read-only connection. Available for Android and iOS, this free app is exactly what you need if you’re into mobile racing games. With this game, it’s all about the racing experience you’ll enjoy right on your mobile. You can practically drive the wheel of real world cars on rendered real world racetracks. Racing on your mobile doesn’t get any better than this. Samsung has already released its latest flagship phone earlier this year. Sleeker and better than ever, the Samsung Galaxy S7 has already won over legions of mobile users. In fact, there are expert reviewers dubbing the latest Samsung handset as the best phone to come from the brand yet. Compared with its rival, Apple’s iPhone 6S, there are certain aspects the Galaxy S7 have beaten iPhone. In comparison with Apple’s iPhone 7, however, we will know the verdict come September 2016. If Samsung has the Galaxy S7, Apple is gearing up for the release of the highly anticipated and much talked about iPhone 7. If you’re one of the millions waiting for the phone to hit the market, here’s everything we know about iPhone 7 so far. Rumors, probabilities and other related news continue to buzz about allowing us a clearer picture of what the iPhone 7 may look like. Earlier leaks suggest the phone may be absent with a headphone jack but recent rumors may prove that to be wrong. In any case, we won’t be seeing the iPhone 7 until late this year. If Apple sticks with tradition, expect to see it in person around September 2016. Of the many leaks about the iPhone 7’s design, the hottest leaks that drew quite a buzz include rumors of a super slim and water resistant build. Another rumor that stuck is that there’ll be no more antenna lines for the iPhone 7. If iPhone 6S is still a little thick for you then you might want to grab iPhone 7. Reports say it might feature a thickness between 6mm and 6.5mm. iPhone 7 may also have an all-metal design with water resistant features, which if true will make a lot of iPhone users extra happy. In terms of the phone’s screen, some leaks show a sharper screen. It also features an edge-to-edge display if the rumors are true. With Samsung’s latest handsets featuring a better resolution than its rival iPhones, a big jump in this aspect of the iPhone 7 may not be a surprise. iPhone 7 may sport a glass-on-glass screen making it very possible to look forward to a 4K or QHD display. Another rumor suggests that the upcoming iPhone may also have an LCD backlight. When it comes to camera, we might not be seeing a lot of changes. Apple already did a major overhaul with the iPhone 6S. From an 8MP camera, iPhone 6S has a new 12MP rear camera and 5MP front camera. It’s likely that Apple will be sticking with the same set of camera pixels for the iPhone. But we can probably hope for some minor tweaks for a better camera performance. iPhone 6S has mediocre battery life especially in comparison with rival Android phones within similar price range. There are no clear-cut news about iPhone 7’s battery pack yet but if rumors of a slimmer iPhone are true then there’s not much hope for a battery upgrade for the iPhone 7.
iPhone 7 is also believed to launch along with Apple’s upcoming iOS 10. If true, iPhone users can expect to enjoy a huge performance improvement all in all. Aside from the upcoming iOS 10, iPhone 7 may also boast a hexa-core processor, which will basically power up the iPhone’s performance to another level of efficient and satisfying. At this point, what we mostly know about iPhone are just rumors. Some rumors are likely to be true while some may not be true at all. We’ll just to keep our ears open until September 2016.